Immigration and Nationality Act §245 provides the law as it relates to the adjustment of status in most circumstances. Only certain people can adjust status. You must be eligible under law. For example, you must have been admitted or paroled into the United States. So, this excludes a large number of people who entered the United States without documentation. In other words, people who came over the border without being admitted by immigration officials would have to leave the United States and apply for an immigrant visa at a consulate. They cannot adjust. However, if they leave, they could invoke certain bars from reentering. There may be a waiver application that person can file while inside the United States that reduces the amount of time they would be outside the country. This is a complicated process, so if you have questions about your potential eligibility for lawful permanent residence (i.e. you are married to a United States citizen), but you entered without documentation, you should schedule a consultation with an immigration attorney to discuss whether filing a petition and waiver are appropriate in your case. You must also be admissible to the United States, in order to adjust status. This means that you do not have certain diseases, have a sponsor who will swear to financially support you, don’t have disqualifying criminal convictions and otherwise are admissible under the law. You must also have an immigrant visa immediately available to you. For example, if you marry a United States citizen, you are immediately eligible to apply for adjustment of status based on your marriage to that United States citizen. However, if you are the brother or sister of a United States citizen, you may not be eligible to adjust status for many years after the United States citizen sibling files a petition on your behalf. Victims of trafficking, victims of certain crimes, and victims of domestic violence may also be eligible to adjust status under special provisions of law created specifically to help those people. How can I adjust my status? You can adjust your status to a lawful permanent resident and obtain a greencard by being eligible under all provisions of law, by having a petitioner file a petition and by filing an application. For example, if you are applying based on your marriage to a United States citizen, your United States citizen spouse would file an I-130 Petition. You would file an I-485 Application. For victims of trafficking, crimes or abuse, there would be no petitioner and the forms you fill out and file are different. Employment based forms and asylum based forms are also different. Once you file the appropriate forms with USCIS (United States Customs and Immigration Services), you may be scheduled for an interview. If after the filings and interview USCIS finds that you have met your burden, they will send you a green card. WARNING – If you are deportable from the United States because of any reason (i.e. a criminal conviction, overstay of visa, immigration violation, etc. ), you could be placed into deportation proceedings as a result of filing for your greencard. 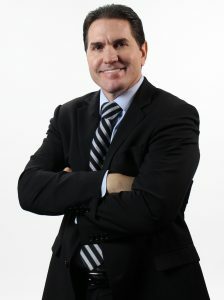 If you have any criminal convictions or any immigration issues at all, you should consult with an experienced immigration lawyer before you file anything with immigration. How long does it take to adjust status? There is no hard and fast timeline for an adjustment of status case. Some cases can take as little as six (6) months. Other cases can take years. The problem is that USCIS has very little accountability to anyone and doesn’t have to explain their delays. In some cases, the only viable option is to file a federal lawsuit seeking to have a federal judge to force them to make a decision. 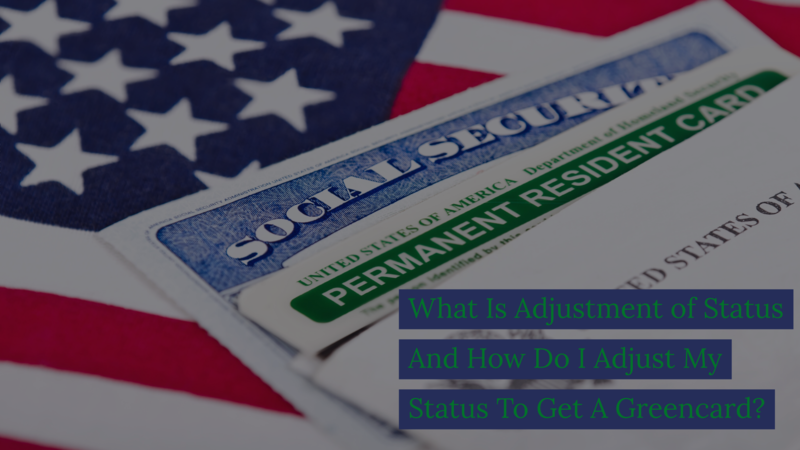 What are the benefits of adjusting status? Adjusting your status to that of a lawful permanent resident, or obtaining a greencard, comes with some amazing benefits. You can live and work in the United States permanently for the rest of your life. But probably the most powerful benefit of obtaining a greencard is the ability to eventually become a United States citizen. Greencard holders can still be deported for minor criminal offenses, abandonment, and for other reasons. But United States citizens cannot be deported. Once you obtain a greencard, you can become a United States citizen in five years (or 3 years if you obtained your greencard based on marriage to a United States citizen.